Heather Marie Jester, 48, passed away peacefully on December 23, 2017 at her home in Cary, NC with her husband Andrew by her side. Born to David and Irene Heather, Heather grew up in Iowa and graduated from the University of Wisconsin Whitewater. She lived in many different cities - Winter Park, CO; Denver, CO; Jupiter, FL; and St. Louis, MO before moving to Durham NC. She met her husband Andrew in 2005 in Raleigh. Heather and Andrew were married in November 2008 at St. Michael's Catholic Church in Cary, NC. Prior to their marriage, Heather worked for many different agencies specializing in right of way acquisition for public transit projects, including for the Triangle Transit Authority. She later transitioned to commercial real estate, working for The Dilweg Companies in Durham and later for N.C. State's Centennial Campus development office. Heather was an active outdoor enthusiast, and loved gardening, walks with Andrew and her dogs, cycling, and hiking in the Blue Ridge Mountains. She enjoyed attending craft shows and was herself a talented artist, leaving behind a treasure of homemade arts and crafts. 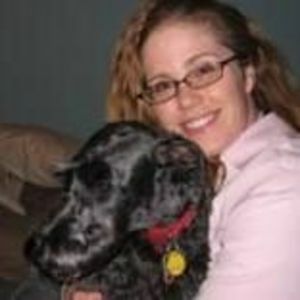 Heather loved her pets, and always advocated for giving rescue pets a second chance at having a happy home. She is survived by her husband, Andrew W. Jester of Cary NC; father David Heather and mother Irene Heather of Sturgeon Bay WI; sister Amy Campbell and husband Gary Campbell of Jackson, WI; sister Erin Weber and husband Mark Weber of Madison, WI; brother Mark Heather of Beloit, WI; brother Matt Heather of Sturgeon Bay WI; Grandmother Gladys Heather of Rock Island IL; and nieces Allison Campbell, Heather Campbell, Ava Weber, and Hazel Weber. In lieu of flowers, memorial donations made be made to The Preston Robert Tisch Brain Tumor Center at Duke University, Transitions Hospice Care of Wake County, or your local animal rescue.